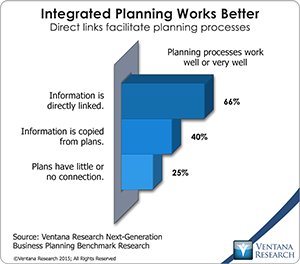 Ventana Research recently completed an update to our last benchmark research on the financial closing process. It shows that many companies are taking longer to close today than they did five years ago. Whereas nearly half (47%) were able to close their quarter or half-year period within six business days five years ago, just 38 percent are able to do so in our latest benchmark. Similarly, five years ago 70 percent of companies were able to complete their monthly close in six days; today only half can. The research confirms that most companies (83%) view closing their books quickly as important or very important. Participants acknowledge that they can do better, saying on average that their company can cut at least two days from both the monthly and quarterly closes. Moreover, the longer it takes their company to close, the more time participants think they could save. For me, the most significant announcement to come out of the recent SAPinsider conference was the company’s formal release of Business Planning and Consolidation (BPC) running on HANA, SAP’s in-memory computing appliance. For me, HANA is a potential “game changer” for planning, statutory consolidation and other analytics-supported financial processes because of the substantial reduction it enables in processing time from loading to reporting. In-memory systems provide a substantial edge in speed of processing large data sets or complex calculations, whereas the latency between thought and answer in complex scenario analyses on disk-based systems often prevents a collaborative dialogue around possible situations and their potential outcomes. Today, companies have to simplify the analysis, severely limit the amount of detail or find some combination of the two. More than likely, they wind up not having a potentially valuable collaborative dialogue in activities such as weekly or monthly review and revision of operating plans and their financial consequences, closing the books or assessing the impact of pricing changes on profitability. In the case of planning, I expect that in-memory systems will enable make it easier for companies to make changes to detailed plans (such as the budget or production plans), which is difficult today for many of them.